Who’s got your back in the Crosby-Tulsa plant? That would be Rick Dowler! Rick is the Production Supervisor for Crosby- Tulsa. 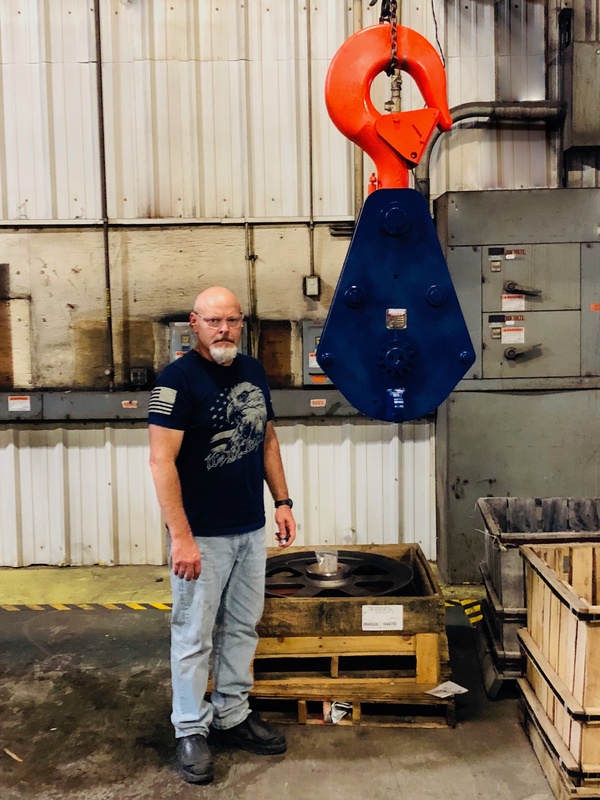 He oversees Heavy Assembly, which includes building oilfield tubing blocks, crane blocks, all paint areas, and roll forge sheaves. Essentially, any large and heavy product that comes through the plant. Rick joined the Crosby team over 15 years ago, at the Crosby- Tulsa plant. He started his journey in Light Assembly and then moved onto Heavy Assembly. Rick has had the honor of being Supervisor for over 7 years. On Rick’s time off he enjoys off-roading with his brothers in the mountains of Southeastern Oklahoma. He also loves to spend time relaxing with his wife of 31 years, Elizabeth, and their daughter, Amber. Before Crosby, Rick had a job that kept him from his family too much, and he knew he needed a change. He decided to apply for a position at McKissick, and the rest is history.